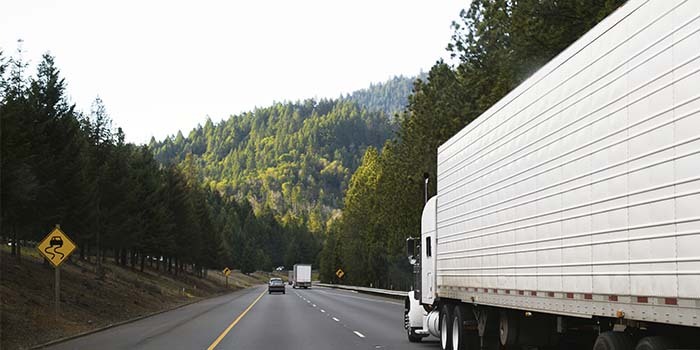 If you have been the victim of an 18 Wheeler accident in Columbia South Carolina, you need an experienced truck accident lawyer in your corner. Look around your kitchen, your bedroom and living room. All that stuff in the pantry and closets? Approximately eight of every ten products in your house made it to it’s destination via truck. 84 percent of commercial goods that move in and out of South Carolina every year, totaling over 300 million collars, moves by truck. It’s safe to say that large trucks are a part of life! But with those large trucks comes the potential for large danger; the more trucks are on the road, the more of a chance you have to be involved in an accident with one. 73 percent of fatalities in accidents with trucks were occupants of other vehicles. That’s because trucks are huge, heavy and have the potential to deliver brutal force. If you or a loved one has been in a truck accident, Green Law Firm can help! If you have been in a truck accident, you want information fast. Here are 10 things the experienced team at Green Law Firm wants you to know about your accident! 1. In a recent year, over 3,900 were killed in a truck accident; another 111,000 were injured. Truck accidents are less common but a lot more deadly. The simple fact is, trucks weigh 20-30 times other passenger cars on the road; they sometimes carry hazardous materials. Over 98 percent of fatalities that occur in truck accidents occur in vehicles other than the truck. 2. Most truck accidents are caused by driver error. Approximately 18 percent occurred due to driver fatigue. 3. To have a solid case, you need to prove three things. Third, that your sustained injuries are a direct result of the accident. 4. To win your claim you’ll need to prove that the truck involved in your accident is more than 50 percent responsible. South Carolina follows the law of “comparative negligence” which states that the injured party may play a part in the cause of the accident. As long as this is less than 50 percent, someone can still seek damages and a claim. If you are more than 50 percent responsible, you will be unable to collect damages for your injury. 5. Big trucking companies have big insurance companies. Which makes for an even bigger fight! From the moment your accident has been reported, large trucking companies will have insurance representatives working on their behalf to mitigate the damages. They will collect evidence and work diligently to make sure that they pay you as little as possible! Remember, there may be more than one person that can be held liable for your accident! Everyone from the driver to the owner and truck manufacturer may have played a part in. The more parties are involved, the more complex your case will be! 6. Evidence Is the Most Important Part of Your Claim! Any items that can be used to support your case! Pain and suffering that accounts for your mental and physical anguish. Damages are awarded to help you return to the state you were in before your accident. They aim to help you return to a “normal” quality of life as fast as possible! Green Law Firm Can Help After Your Truck Accident! If you or a loved one has been involved in an accident with a truck, we can help. It takes no money out of your pocket to have our team of experienced legal professionals starts working for you! The first step is to sit down with a member of our team for a no-obligation case review. Let us talk straight and help you understand the case process before you! Bill Green and Green Law Firm will keep you informed every step of the way; we’ll answer your calls, return your emails and make sure you are armed with the information needed to give you peace of mind. Contact us today to begin your case review!